30% off on all CS-Cart add-ons. The sale lasts only a week (until November, 30). 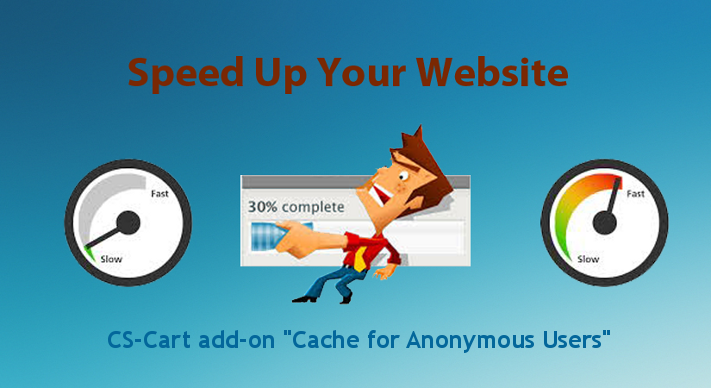 The chance to buy "Cache for Anonymous Users" add-on with 30% discount. USD 140 instead of USD 200. Cached site version is loaded very fast because it opens without any calls to the database or php work. In result, it gives a positive user experience and a better site speed value for the search engines. Discounts till the end of this week! Hurry up to make an order! You can download CS-Cart modules made by Alt-team with 30% discount! Do you want your store snippet in Google can attract potential customers? Click to purchase this useful module. Boosts Your Sales Up just using Countdown Timer on discounts made by Alt-team. Check other CS-Cart add-ons with 30% discounts. The sale is till November, 26 (Monday).